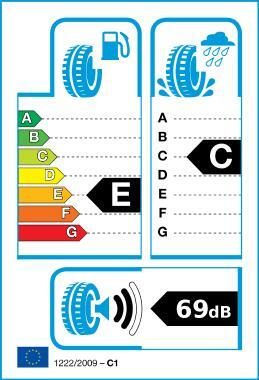 Radial - Summer tyres, 175 mm tyre width and 65% tyre height for a 14-inch rim. This tyre is designed for a speed of up to 210 kph. Four straight broad grooves offer drainage efficiency and upgrade the safety on wet ground The sub-straight grooves on the shoulder reduce the rigidity and prevent uneven wear happens. Multi sipes design reduces the rigidity of the tread and enhances the driving comfort. The lateral groove design curbs the generation of pattern noise. The pitch is designed with 5-pitch computer simulation to provide quiet and luxurious driving experience.